One of the things that many people want to include on Disney World trips is character meals, but there are so many to choose from that it's hard to figure out which ones to do. In this post, we have listed all of the character meals at Disney World with info on which characters appear, prices, menus, and transportation information on how to get to early breakfast reservations to help you out. Is the Disney Dining Plan right for you? Tips: This reservation needs to be made 180 days in advance, particularly for 8 a.m. breakfast. Tips: The Cast Members here are known for providing great service, including recognizing special occasions, so be sure to note if you're celebrating on your reservation and mention it when you check in as well. 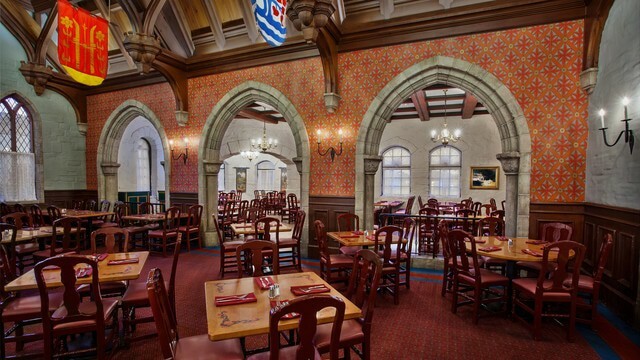 Tips: This might be the hardest dining reservation to get in all of Disney World. Be sure to make reservations 180 days in advance if you want to eat here for dinner. Tips: Eat breakfast here if you have picky eaters since lunch and dinner feature foods that are a bit more adventurous and not as popular for families. Tips: It is often possible to get a reservation here when many others aren't available. Tips: Often times guests with pre-park opening reservations at Hollywood and Vine will be allowed to sign up for Jedi Training Academy before their meal. Tips: Don't forget to try the sundae bar after your meal (available at lunch). Tips: This dining package uses the same # of dining plan credits as when you eat here without the dining package but includes a voucher for seating at Fantasmic. Tips: In the winter you can find Minnie and friends decked out in cute holiday attire which can make for fun photo opportunities. 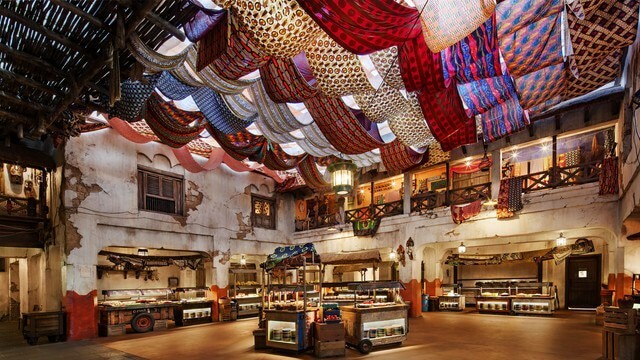 Tips: This is probably the most popular dining reservation at Animal Kingdom. Be sure to book 180 days in advance, particularly if you want the much-coveted 8 a.m. breakfast reservation. Tips: This dining package uses the same # of dining plan credits as when you eat here without the dining package but includes a voucher for seating at Rivers of Light. Tips: Unlike the other character meals, in addition to their buffet, Garden Grove also offers a menu that can be ordered from instead. Tips: Book ASAP if you are interested in eating here; breakfast hours extend until 12:00 pm which makes it a great place to grab a late breakfast. Tips: A small selection of princess and prince apparel and accessories are available to purchase right as you enter. Tips: If you arrive by monorail, it may not be obvious where this restaurant is located. When you exit the monorail, go down to the first floor and you'll find the restaurant by the front doors. Tips: Request to be in the main dining room to get the maximum amount of fun since the other rooms are further from the action. Cons: This meal is a brunch offering that is only available during the holidays. For 2018 those dates are Nov. 19th - 25th and Dec. 22nd - Jan. 1st, 2019. Tips: Unlike the other character meals, in addition to their buffet, Garden Grove also offers menu items that can be ordered instead. Tips: Consider taking a boat there from Magic Kingdom. Pros: A whole event rather than just a meal that includes each girl receiving a doll, tiara, bracelet, rose, scrapbook plus food and entertainment (boys receive a crown and plush bear). The $334 price includes 1 adult and 1 child. More children can be added for an additional cost. Cons: Only available Sunday, Monday, Wednesday, Friday, and Saturday from 9:00am-10:30am. 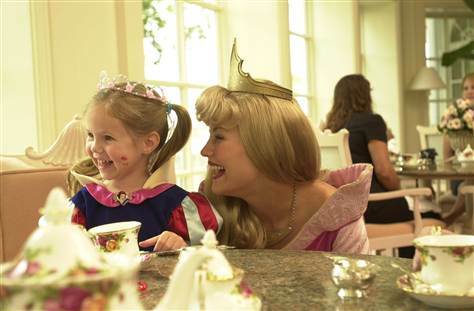 Tips: Party goers are encouraged to dress up as their favorite princess or prince. Pros: 1 hour tea party from 2:00-3:00 p.m. Monday-Friday for ages 4-12 where kids get to make and eat cupcakes, hear a story, have tea (juice) with the characters and make flower bouquets. Cons: Kids do this event without parents so parents should plan to do something nearby like stroll the beach, order a drink, explore the resort, etc. Tips: The price of this tea party makes it a popular option so be sure to book early if you'd like to attend. The only time we ever recommend breakfast is if it's before the parks open (if you eat any later, you end up eating during prime park touring time) but it's confusing to understand how to get to the dining reservations. Although Disney will often tell you that transportation begins 1 hour before the parks open, there are earlier options for people with early dining reservations. The resort monorail (which will go from TTC to The Polynesian to The Grand Floridian and then to MK) begins at 7 a.m. The Epcot monorail usually begins operating at 8 a.m. If your character meal is a lunch or dinner you may not be starting from your resort. In that case, use the WDW Prep Navigator to help you figure out how to get there. If you end up doing several character meals, the Disney Dining Plan might make a lot of sense. Review our post on maximizing Disney Dining Plan credits to see which restaurants offer the best value. 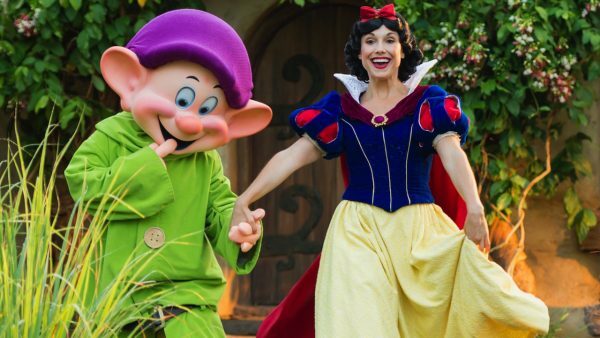 Will you be doing any character meals at Disney World for your trip? Feel free to leave your thoughts in the comments. I didn’t see anything about Anna & Elsa. Are they normally with the other Princesses? This may need more updates but Be Our Guest dinner is now showing as $60 adult since the price changes. Hi, I’m staying at an offsite hotel and I have a character dinner reserved at Crystal Palace. Do I need to get a Dining Plan also? Or just show up ahead of my reserved time with my reservation number and I’ll be fine? Disney’s whole dining setup is very confusing! Offsite guests can’t get the Disney Dining Plan since it’s just an option with onsite packages. You can just pay cash/credit card for your meal. Enjoy! Wow. This is an impressive list. Mind if I post this on my Facebook page and include a link to it on my Website? Sure! Never need permission to post links. Glad it was helpful to you. Will table service restaurants balk if I bring in outside food (cheese sticks, fruit, etc.) for my one-year-old? I know she can eat off of our plates, but I want to make sure I have some of her favorites available if I can. Thanks! I really appreciate all of the info provided on this site! It has been so helpful to me while planning our family’s first trip! Our daughter is OBSESSED with Pooh and we have made reservations on her birthday in September at Crystal Place. Our ADR is for 9:05am. Will we still be able to get into the park early to insure we don’t miss our reservation? I am afraid if we don’t get in early we will miss this special breakfast. I am planning on ordering a cake and everything. What do you think? Also any thoughts on how early we should leave CBR to get there in time? Thank you so much! I don’t know how to count! Planning to take the grandkids to WDW and scheduling buffet service character meals. Three adults plus the 5 year old for sure, but what about the 2 yo twins? Do I reserve for 6, to get a large enough table, even though only 4 are paying/have park tickets? (I have read that at buffets the under 3 guests eat off an adult’s plate.) Will we automatically have the 18% tip added? If we do a F! 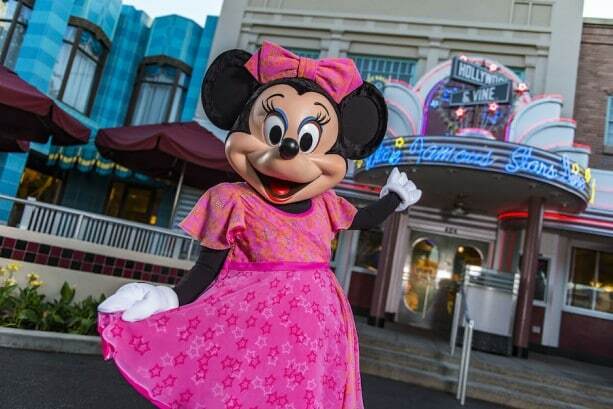 dining package with Minnie’s Seasonal Dine, how do we count the F! seat spaces? For dining reservations, you have to have a reservation for everybody in your group for fire code purposes, but then the number can be different when it comes time to pay. Kids under 3 not only don’t have to pay for a meal, but they don’t get FastPass+ reservations (they just come with you if you have one). Same will be true with the Fantasmic Dining Package – the little ones won’t need a meal and can be seated with you and your voucher at the show. Are the Paw Patrol characters anywhere in Disney World including character meals? No they won’t be; Paw Patrol is part of the nick jr franchise. Hi! We’ve got an ADR for 7:35 AM at Trattoria al Forno @ Disney’s Boardwalk for the character breakfast in October. We’re staying at AoA and we’re trying to figure out transportation. We really don’t want to drive. Will we be able to take Disney transportation to the boardwalk in time, or will we need to schedule an Uber? I’ve seen comments online that suggest you can get character meal transportation from AoA at 7 AM, but would we make it in time? Thanks! 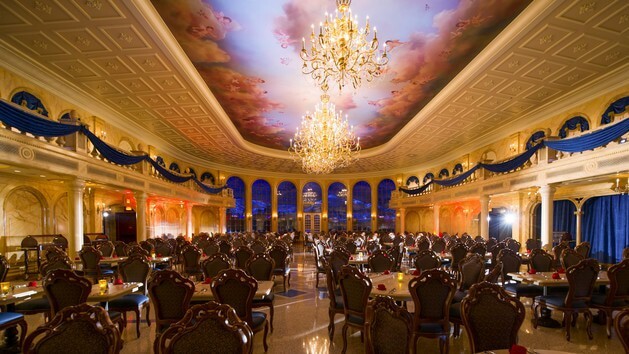 We will be staying off-site but want to book an early breakfast at Cinderella’s royal table. Will we be able to enter early enough for the reservations before the park officially opens or will we not be able to because we are not able to use the extra magic hours? You’ll be able to enter early even if staying offsite. You will simply show your reservation confirmation number. Make sure the time of your breakfast is shown also. Approximately how long should it take to get from Pop Century to The Grand Floridian? It’ll be 60-90 minutes by the time you wait for the bus at Pop, ride the bus to Magic Kingdom, then wait for the next boat or monorail to Grand Floridian, and take that ride. For that reason, I usually suggest Uber or taxi for most resort-to-resort transportation. They can get you there in about 15 minutes. Hi. We are going to Disney in September. I am trying to decide between dinner at Crystal Palace or Chef Mickey’s. It will be on an evening of Mickey’s Halloween Party, which we will not be attending. We are also planning dinners/lunches at 1900 Park Fare, Hollywood and Vine, Tusker House and Akershus Royal Banquet Hall. Thanks for your advice. It depends on what you are looking for. If you go to the Crystal Palace, you’ll get a greater diversity of characters, seeing Pooh and friends. Chef Mickey’s has a similar line up as Tusker House. I really enjoy the ambiance of the Contemporary Resort, though, so I don’t think you’ll be disappointed on which ever one you choose. I think the food is about the same in both places in terms of quality. Which would you say is the best character meal for a 2 year old who is obsessed with Minnie and Mickey? We won’t have a meal plan and will be there in november. 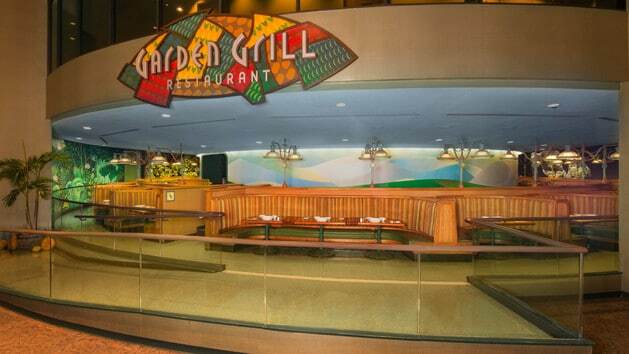 The Garden Grill is perfect. It was the easiest character meal we have done. (And we have been going once a year for many years) The characters are constantly making appearances, many times. And it’s cheaper than the others. We loved it, and so did our 2 year old. We are having a O Hana character breakfast at Polynesian then heading to Magic Kingdom for the day..do we park at Transportation Center then monorail over to Polynesian or can we park at Polynesian for meal and leave car after meal to go to MK? I doubt it but thought i would ask. Officially, you can only park for 3 hours for your dining reservation. In actuality, they’ll almost certainly allow you to stay there, but you’ll just have to make sure you get back to the Poly after leaving MK to get back to your car (via resort monorail or boat). Is there any where to see the marvel charters with a meal? Hello! How much time should I plan for character meals? We are doing chef Mickey for dinner, askershus for lunch, tusker house breakfast, crystal palace lunch, be our guest breakfast and cinderellas table for lunch(all on separate days obviously) but as far as planning fast passes I’m not sure how much time will be needed to eat and interact with characters, should I plan 2 hours? I’d plan for up to 90 minutes to allow time to be seated (sometimes takes a little while), eat, and see all of the characters. Thank you for all of this great info. I am planning our first Disney trip as a family (it has been 30yrs since I have been!) For July 2017. My kids are 5,13,14 & 18. My daughter (5) loves princesses but I am not sure her 3 big brothers would prefer to dine with them! Thinking Chef Mikey’s for an early breakfast on day one will be a good plan. What are the chances we will be able to satisfy the princess loving girl without doing another dining experience? Thanks so much!! 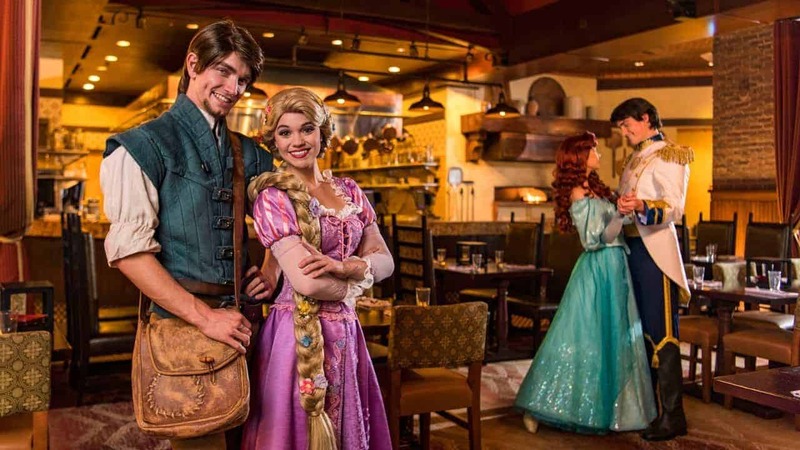 If you don’t want to dine with princesses (like in Akershus in Epcot) then I would say they are numerous places to meet princesses in the parks; especially Magic Kingdom and Epcot. She should be able to get her princess fix that way. When we went with extended family, my 7 yr old daughter was the only girl (big brother and 6 boy cousins). So she and I scheduled a lunch at Cinderella’s castle with all the princesses while the rest of the family rode rides. It was a great mommy/daughter activity and allowed her to experience the magic of Disney princesses without boring the boys! 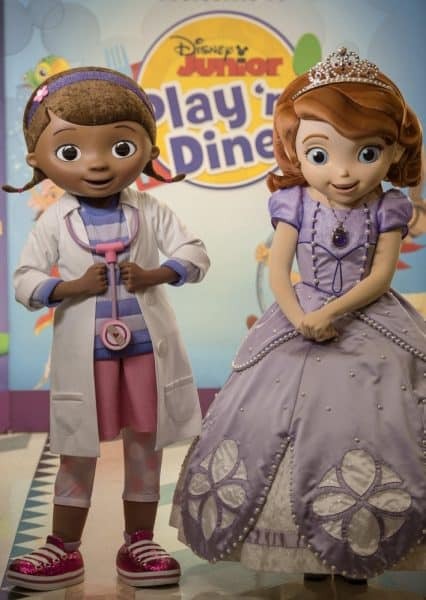 My daughter loves Doc McStuffins, but we werent planning on visiting Hollywood Studios. Can we do a character breakfast at Hollywood & Vine without visiting the park? Then we could still see Doc, but visit Magic Kingdom after? No, unfortunately park admission is required to dine at Hollywood & Vine. If we stay off site can we still book character meals? Also, are we still eligible for Fast Pass? Yes, you can book character dinings but you cannot benefit from Extra Magic Hours unless you are staying at a Disney property. Are there photographers at the character meals for the photo package? We are staying at the All Star Music Dec 10-16 and have reservations for breakfast at 8:30 at 1900 Park Fare. My mother has a scooter (does not break down) what is the best way to get there? Do we get a bus to MK then another to GF? or does the resort monarail start early for us to get from MK to GF? We have been to WDW many times but not with a scooter. More than likely the MK buses will begin running around 6:30am. I would be at the bus station for Magic Kingdom around 7am. you to the grand floridian. Or you could take a cab, the hotel desk can help with this. We’re travelling the first week of November with my 10 yea old niece. It is her first Disney trip. Grammie would love to do a Character meal. We’re staying off-site. Can we go to any character meal, or do you need to be staying on property? Thank you in advance for your help! Anybody can eat anywhere at Disney World, regardless of where they’re staying. Be sure to look for reservations now because character meals usually book up months in advanced. Enjoy your trip! We’re also staying off-site in December and are hoping to do a character breakfast. Can you get into the park early when staying off-site? And if so, what is the best way to go about it? We were at Disney 2 years ago and came to the park 30-45 minutes early and had to take the ferry over but still didn’t make it in time for rope drop. Yep! You do have to allow for plenty of time though. The resort monorail usually begins operating at 7 a.m. daily, so you’ll catch that at the Ticket and Transportation Center, then it’ll stop at The Polynesian, Grand Floridian, and then get you to MK. Good morning. I Have a question. I’m booking my 1st Disney vacation. The price range for the characters meals is that how much you have to spend per person to eat at the restaurant or will be charged. Good Evening! We are headed out in 9 days, this will be our second trip. Last time our early character breakfast was Chef Mickeys and the bus took us right to Contemporary. This time we have an 8:00 at Ohana’s, we are staying at Caribbean Beach. What is our best option? TIA! Resort-to-resort transportation is often the trickiest part about navigating at Disney World. You could either consider taxi/Uber, or take the bus to Magic Kingdom and then the resort monorail to The Polynesian. If you decide to use Disney transportation, I’d be at the bus stop for that by 6:30-6:45 or so to allow for up to an hour or more to get there. We have a brekfast at Cinderella castle at 930..how early should we arrive? Love your site! So informative. We are going early november 2016, taking our 8yo daughter and 5 yo son. Our first day will be at MK, we have 10:20 reservations for Pirates League and then a 1:50 reservation at Chef Mickey. Is this enough time to get from PL to Chef Mickey? Are we going to be too rushed? We have other character meals planned during the trip to Tusker House, Hollywood & Vine and Crystal Palace on our last day that I’m considering cancelling Chef Mickey cause I’m worried it’s the wrong time of day to leave MK especially once I secure Fastpasses. Any advice would be appreciated. You will have more then enough time too get too Chef Mickey its our favorite place to go! We have 8am Garden Grill reservations. How long does the meal usually take? There are 6 of us traveling together, and we are hoping to be able to get on Soarin right after breakfast without FP+ (and then Test Track right after that). Want to save our Tier 1 FP+ for Frozen Ever After. I like your plan. Service is so quick and good at Garden Grill. Even with lots of food and character interaction, you can easily be done w/in 40 minutes or so. Hi there Shannon! I’m a little nervous about my first trip to Disney! You see, I’m 16 years of age and as my Mom suffered from several accidents and disease, we were never able to go. I know she wants to give me the best experience possible but I’m trying to do a little research of my own since I don’t want to be a burden and have her spend unnecessary money. Therefore, I’m trying to find the cheapest things to do while still doing the things I want to. I was a bit sad to find out there was not a Peter Pan charachter meal, as he’s definitely one of my all time favorites along with Mulan and Li Shang. However, having seen all the character meals, I’m thinking of perhaps the Crystal Palace, since my Mom and I both love Winnie the Pooh or Disney’s Grand Floridian Resort, since I’d also really love to meet Prince Charming and that seems to be the only place he’s available. It seems like next to none of the males are available for character dining…would I be correct to assume that? Also, any information on where and more prominently which males are available to see in the park would be much appreciated. My Mom is intent on spoiling me and I just don’t want her to go crazy like I know she is. She feels horrible since she went as a child. And honestly, like I said, I’m SUPER nervous. My excrement has been directed at meeting the characters for as long as I can remember…but now…I feel like I’ll be a blushing quiet, little mess of a mouse and feel embarrassed talking to them. I’m really scared. I don’t want to dissapoint my Mom either. I don’t know…maybe I’m just being over-dramatic but the last thing I want to do is make a fool of myself and let all my Mom’s hard work go to waste. We’re probably going to go around January/February 2017. I know that this is probably the longest post ever ma’am and I humbly apologize for that. I’m just…God I don’t know why I’m so petrified of meeting these characters I’ve grown to love so much. Why am I about to cry right now? Maybe I’m scared of rejection or judgment since I’m older? I’m honestly not sure. Please, if you could help me with these issues I’d be greatly indebted to you madam. Thank you again. Have a wonderful evening. Sheridan, Honey, you are a peach. Seriously. You obviously love your mom tremendously. You’re so thoughtful and considerate. As a mom, we appreciate that more than you can ever know. Raising girls like you make us proud of the job we’ve done as mamas. We’re populating the world with good and kind-hearted young people. At nearly 40, *I* still get the butterflies about meeting characters at both the parks and the meals. I’ve had a wonderful experience each and every time. They’re all so sweet to everyone they meet, regardless of age. Have no fear. They want to meet YOU as much as you want to meet them. So keep the butterflies in your stomach (the excitement and anticipation are part of the fun!) but enjoy yourself as well. Be silly and goofy with them. You’ll get some great photos and have some wonderful memories. Hi Shannon! Love your tips. First trip to WDW from Argentina in December. I’ve made a 8:15 am breakfast reservation at Akershus. Do you think we will be able to ride frozen ever after first thing with little wait? Thank you for everything. If you want to know my opinion I would do a Character Breakfast that is close too the Frozen ever after ride it would give you more time too eat and such! i booked this breakfast too. how was the wait after you left breakfast? Have you been to Goofy & Pals at the Four Seasons? I’m looking at that vs. Cape May. Thanks! Do any of the character breakfasts just use a quick service meal credit? Or do all require table service credit? All character meals are at least 1 Table Service credit on the Disney Dining Plan. 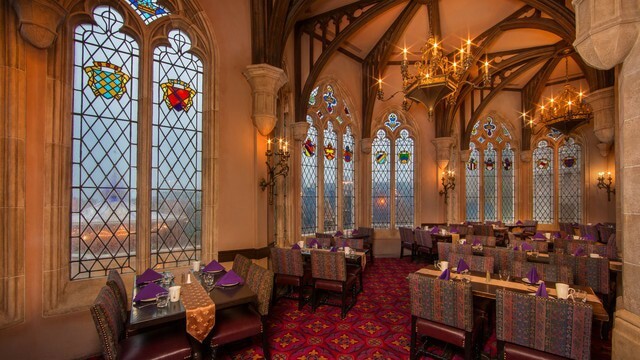 The closest Quick Service you’ll get is getting to eat in Beast’s Castle at Be Our Guest for breakfast or lunch, but the Beast will not be there at that time. Do you have to prove you have a breakfast reservation to ride the early buses? Nope! Just go to the bus stop and hop on. How early can we catch a bus at the DVC Beach Club during the week of March 23-31, 2016? Hi, Shannon! I am in the midst of planning our upcoming October trip. We have a seven year old girl who likes princesses, adventure and Star Wars and a two year old boy who loves anything his sister loves. I am trying to plan a character meal for each of them that would be enjoyable for both. What are your suggestions? Hi what’s the best way to get to ohannas Polynesian Resort from ft wilderness? Also best ways to get to ohannas if staying off site? Can we drive there and is there a charge for parking? Go to the Contempo, hop in the monoriel which will get you to the Poly in no time. We are headed to WDW after Easter. We have a 5:10pm reservation at 1900 Park Fare on a Monday. We will be spending the morning and early afternoon at HS. Any tips on how to get there? Would it be worth it to go from HS to MK for a little while and then take the Monorail to the GF? I heard on one of your podcasts that you could valet at a resort daily. Any idea on the price? P.S. You have the best Podcast around! It’s so organized! I will be leaving an Itunes review. We are staying at the All-Star Movies resort and have a breakfast reservation at Chef Mickey’s on Friday for 7:15AM. How do we get transportation from our hotel to the Contemporary hotel for 7:15AM? Will this be a hassle? Should we try and get another reservation elsewhere? I’d take an Uber or taxi. Ok… So we are coming to WDW in May. I am so excited because I am the only one who has ever been my husband and children have not. I have a DDP and have made several reservation already but i have a question or 2. I have a 7:35 breakfast with Chef Mickey the first day we will be touring the parks what is the best way to get their from the Caribbean resort ? also How many Character meals can we do on the dinning plan? and one more are all the buffet meals just one trip to the bar or can you take more then one trip Im rely confused on that one? Thank you so much I have gotten so much form this site that it has made my planning do much easier. We are going to in FL May 21-26. We are getting a late start on planing. We do have 1 day park hopper passes, and plan on using them for Magic Kingdom on 5/24. I really want do a character meal for the kids. Our oldest daughter will be almost 8. I am not sure who she would be excited to see. She’s out of her princess stage, but I think she may like to see Minnie and Mickey. My middle guy will be almost 7. He adores Toy Story. I am not even sure if those characters are there. Our youngest will just have turned 2 the week before and she love Minnie, Mickey and Donald. How do I even begin to pick the best place and time for them to see characters??? We have an e-ticket which we have to get verified, presumably at Magic Kingdom? Do I travel to Magic Kingdom, get tickets verified then travel to Chef Mickeys? Or can we do the breakfast then sort tickets afterwards? Is it best to get the Monorail from Magic Kingdom to Chef Mickeys? Sorry for all of the questions, I have no idea of what to expect!! You do not need park tickets to dine at Chef Mickey’s in the Contemporary. You can head to Will Call at any park after breakfast if you wish to redeem your e-tickets for your park tickets. The best way to travel to the Contemporary depends on where you are coming from. If you’re staying at another MK resort you can take the resort monorail. If you are staying at another non-MK Disney resort you can bus to MK then take the walkway to Contemporary which is right beside the bus terminal, it will be shorter than walking to the resort monorail then travelling one stop. If you are driving you will park at the TTC then you can take the resort monorail four stops (Poly, GF, MK, CR), or express monorail/ferry to MK then walk from there. Hi, thank you so much for that. We are driving in and thought, from your info, that we might park at Magic Kingdom, take the monorail to Contemporary, have breakfast, then get tickets validated and go to Magic Kingdom. Please let me know if there is a flaw in this plan but if not, many thanks! That will work just fine. Its often faster to take the express monorail from the TTC to MK then walk from there, instead of taking the resort monorail. But if persons in your party have mobility issues then the resort monorail will take you directly to Contemporary. Alternately you can take the ferry to MK then walk, for a more leisurely experience. Enjoy your trip! Ok….so I’ve probably waited too long to take the kids to Disney World Disney World…wanted my youngest to be able to remember it. Then in 2013 I was hurt on the job which led to CRPS and a nuerostimulator being put in my back last Friday. Needless to say I believe any twisty turny rides are out for me. Yet I want to make this trip a dream vacation, especially with what we have endured in the last 2.5 years. I would like to do a character dining. However, my 5 year old is not so much into Mickey Mouse club house anymore. Not saying that to be rude he’s just more into the starwars, cars, lego theme. My other son is into pirate if t Caribbean, history, wars, and Once. Upon A Time Rumplestilsk are there any Character Dining experiences that my boys would enjoy? Most I seem to find are for girls, or small children. 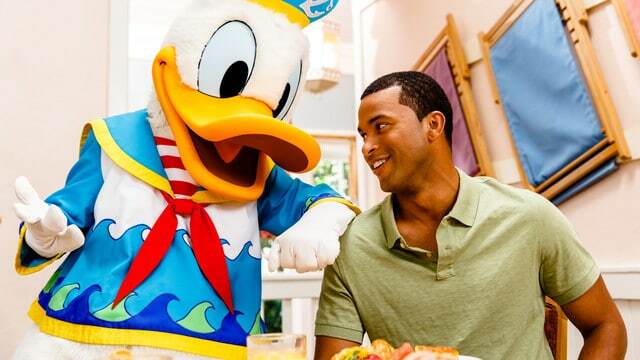 Maybe they would be interested in the character dining that has the classic characters like Mickey. I have seen jaded teenagers gush when they see them, something about the Disney magic. There aren’t any character meals that focuses on Star Wars or Pirates, although there are quite a few special events. The Pirates League is where your kids can get made up into a pirate and participate in a parade. There is also a Pirates & Pals Fireworks Cruise (that the whole family can go on) and a Pirates Adventure Cruise (that is for kids only). Lots of great tips on your posts! Thank you! Just wanted to let you know that the resort monorail did not begin running till 8:30 am several mornings when we visited Dec. 10-18, 2015. We had planned to use the resort monorail from the Polynesian to get to the MK for an early morning BOG and CRT reservation, but it was not running. Fortunately, we were able to catch a boat both days, and even though we were late, we were accommodated. For our EPCOT early morning breakfast at Askerhaus, we just used our rental car to avoid any issues. Thanks for this list! Great overview, well organized- I was feeling a little overwhelmed & under-informed with the Disney explanations in the app. I just booked a late breakfast at 1900 Park Fare. It says on the Disney site that the breakfast is until 11:50. Is that the time they close the buffet down or is that the time they have the last seating? I want to make sure we have time to graze and meet the characters. Thanks! You forgot about the Seafood Sensation Buffet at the Garden Grove Swan/Dolphin Hotel. It features Chip, Dale, Goofy and Pluto. It is not on the dining plan but the price is great – about $33 for adults and $17 for kids. It includes crab legs and half a lobster for each adult. We went the day after Thanksgiving 2015 and it was great! We went to the Swan Resort several years ago to have dinner with Goofy ( and Pluto) and had a great time. We had reservations but didn’t really need them. It was not crowded and the characters stopped by our table several times. This list needs an update with. Minnie’s new seasonal character meal at Hollywood and Vine. We are staying at the All Star Sports resort and had planned a breakfast reservation at Chef Mickey’s at 7:30 am. 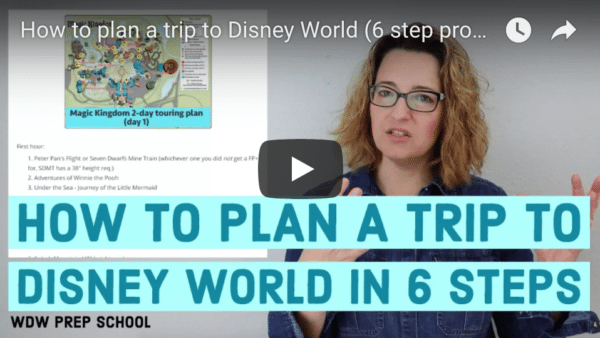 Will it be possible to get there on the Disney bus? I’m coming from the Magic Kingdom to go to 1900 Park Fare in the Grand Floridian for dinner at 5:20pm. What time do you suggest we start heading out of the park to make our reservation if traveling by monorail? Love all the info here. Great job!! I have until December to plan our meals. The only one we know for sure so far is Cinderella’s royal table one evening after a trip to the bippity boppity boutique. This our 1st trip. We will be there for 2 weeks but are staying offsite at the embassy suites so I don’t know how that will affect dining yet. We have an 8yr old girl and a 12yr old boy. I would like to know if we need to be reserving breakfast, lunch, and dinner every day or will we be ok just reserving that one important dinner for our daughter and doing the rest on the fly? We ate at Cinderella’s castle, and it was the WORST meal of the entire vacation. We took our granddaughter and when we made the reservations, we asked if they could accommodate my granddaughter, who is a vegetarian. The staff assured us her needs would be accommodated. The options…a small frozen pizza or pasta with butter! What a rip-off! i would definitely reserve at least one meal per day. The restaurants get VERY crowded and even with reservations you can end up waiting 30 minutes or so. We reserved a later dinner each evening, and just grabbed lunch wherever we could. This worked for us because it gave us an opportunity to wind down after a crazy day without stressing over what restaurant we would be able to get into. Also, we used Uber a couple times rather than the Disney busses (we stayed on site). They arrived quickly, the vehicles were spotless, the drivers were polite, friendly, and knew where they were going. The rates were also very reasonable. I don’t think we paid a fare over $15. This is a serious option for getting around. You only need reservations for table service meals. We went last June and only made one dinner reservation. The rest of our meals we ate quick service. Except for breakfast our first day, which was at Boma and we were able to get seated quickly without a reservation. If we eat dinner at Tusker House in the AK, how do you suggest we get back to our hotel (the Polynesian) since the park will be closed by the time we are done eating? Thanks! There will still be buses running. Hi we are planning on taking our kids to Akershus for dinner. Is the charachter dining all day there or just in the morning? When we went for lunch we met about 5-6 princesses in the Norwegian restaurant. I’m fairly adventurous eater but I definitely ended up using snack credits soon after, as I wasn’t that thrilled with the food selection. But if you don’t want to spend half your day in line over 5-6 MAJOR princesses, this is a great option. Just got to determine what’s more important for you and your group. But anyway, I assume they also have the princesses in the evening as well, in case you’re wanting to do dinner. Chef Mickey’s was lots of fun….you would need to take a bus to magic kingdom and then the monorail over…. I loved having early breakfast, you can eat and then enjoy the park right as it opens! I managed to snag reservation at Be Our Guest Restaurant during a Mickey’s Not So Scary Halloween Party night. (Thanks for the heads up.) But I’m having second thoughts. We have never done either and not likely to do another Halloween party. My question is do you think it will be worth an hour out of the party for dinner with the Beast? Reservations are at 7:55 with the 1st parade at 8:30 with the 2nd parade at 10:30. I’m not sure about any other special Halloween activities. Do you think the dinner take up to much time to be worth it? I’m not Shannon, but I think that you should be fine. I personally LOVE the Be Our Guest dinner, a real highlight of the trip. Just have your dinner, but don’t rush it, enjoy the experience, then go on to have fun at the party. Cheri Yes i do think that you all should do Be Our Guest I have heard from a lot of friends and they said its so worth it! So don’t cancel Be Our Guest!!!! Beast comes out at dinner!!!! 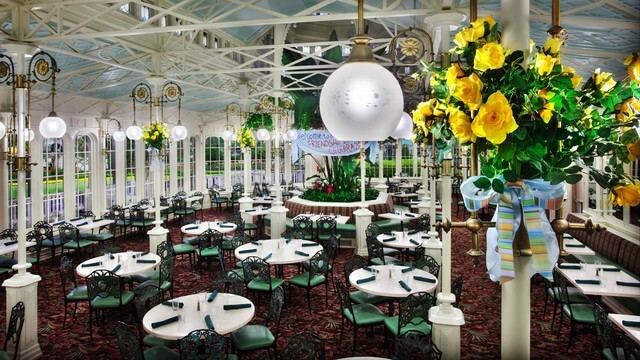 Do you think a 9:05 am breakfast reservation for cinderella’s royal table is better than a 12 pm lunch for February 2016? I’m concerned with the 9am reservation because I feel like we should be using that time for rides with the park just opening for the day. What do you think? I agree w/you. Lunch is better. Will I need a park pass to dine at Cinderella’s castle on Thanksgiving day or can I just go for the dinner? Yes, you will need to pay park admission to attend the dinner at Cinderella’s castle. In fact, you cannot go to a restaurant in any of the parks, without paying admission to the park first. Even though my husband and I typically go to Disney sans children, O’Hana and Garden Grill are must do’s for us. Both offer great food and fantastic character interaction. Well worth the price/dining credits and a great way to feed not only the tummy but the inner-child as well!! We have planned a somewhat last minute trip to Disney for the end of sept. Really would love to do the Chef Mickey, but its already booked up! This will be my daughters first time there, and the Chef Mickey has all her favorites. How accurate is the online site? Is there a number we can call and double check? Has anyone ever just showed up with the hopes of another family cancelled? Thanks so much! hi there! We just finished our first trip to Disney in July. What an exhausting yet exhilarating experience! We ate at chef mickey’s on our first evening and though it was awesome experience wise, I don’t know that we would redo that one. 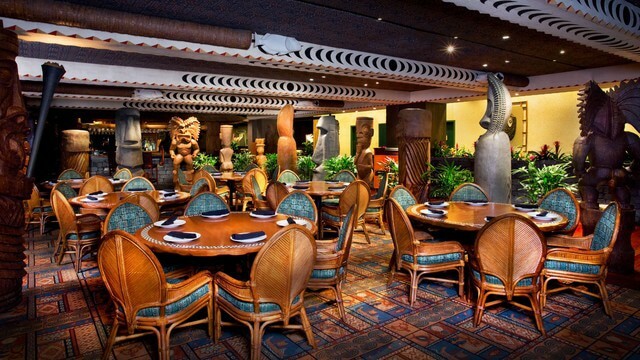 We had the best time at Ohana at the Polynesian and you see the same characters only in Hawaiian attire, it a true family setting and more affordable, AND the food was better to boot. 🙂 we had reservations that we made well in advance and still waited for just a bit. The line to get in was outrageous so I’m not sure how easy it will be to squeeze in. Have a great time!!! oops, forgot to mention the addition of lilo and stitch at Ohana and We went for breakfast. Also, check the reservation site during your trip – many people change their plans and cancel dinner reservations the day before to avoid the no-show charges. I plan to do this next week for a couple of restaurants I’d like to visit, but aren’t crucial for me. Have fun! I also booked a last minute trip to Disney for next month. I wanted to go to Chef Mickey’s too because it has the main characters and it will be my son’s first visit. When I first booked our trip there were no reservations available but I kept checking online every day. About a week ago I was able to make reservation for lunch! My advice is to check over and over again. I read somewhere that the site is updated around 8:00 a.m.-not sure if that’s actually true but in my case I just kept checking and it worked. I’ve heard mixed things about Disney Dining Buddy. Some people think it’s worth the $8 but they’re doing the exact same thing as you would be doing but it doesn’t cost you anything to keep looking online yourself. Good luck! Hope you’re able to get something. Hi Shannon! Just LOVE your site! We are planning our 1st visit ever in Sept, and we scored FREE dining and some GREAT dining reservations! Sooo excited! My question is, how early do you recommend we arrive at our reserved dining locations? Thank you so much! We are eating breakfast at chef Micky’s and this is our first time doing character dining. Made our reservation online today but was wondering how you request to be in the main dining room? Do I have to do this in advance? Just ask when you check in at the restaurant. How is the lunch menu? How would I get from pop to cape may for an early morning breakfast reservation? Taxi or Uber is your best bet. Trying to schedule our FastPass selections and was wondering how long you need to plan to set aside for Character dining experiences. We have an 1:15 pm at CRT and didn’t know what the earliest time should be to start getting FP after this meal. Is setting aside an hour enough or should I plan for longer? Thanks! Depending on how quickly the characters come to your table, I’d allow for 60-90 minutes for character meals. We’re getting the quick service meal plan but do what to do at least 1, maybe 2 character dining (breakfast and dinner). Do you (or any of the other readers) think it’d be better to just pay for those 2 dining experiences or just upgrade to the dining meal plan that includes 1 table service meal. That is what we are planning on doing in Sept. We got the QS plan free with our booking and I have ADR for story book breakfast in Epcot , Si-Fi in HS , and pre-paid for spirit of aloha section 1. With the food and wine going on and the Halloween party I am sure those extra Quick Service credits will come in handy converted into snacks now that they made that official 3 snacks same location for one QS credit my kids are big time snackers not so much on eating large meals so this should work great for us. We are staying offsite, and we are attending Mickey’s Backyard Bbq on our arrival evening. Can we get the tickets at Ft. Wilderness, and if so, where? It said to pick them up at a resort. Thank you! If you go to a character breakfast before the Magic Kingdom opens, is there any chance you will be able to see the Opening of the Park? That is one of my highlights of the day and I don’t want to miss it. Hi so we staying at riverside and booked for an early Bfast dining reservations at Crystal Palace booked for 1 hour prior to park opening at 8am. What time should we head to the bus stop? Will the disney transport bus system get us from Riverside to Magic Kingdom by 8am? Considering the park doesn’t open until 9 that day? Is this a situation where we NEED a taxi? We are planning a trip in October. My son is two and I just found out he gets into the park for free. My question is would I pay for him for the character breakfast? I want him to meet Jake and all I see is adult prices and children 3-11…..thanks! H & V is a buffet and from my understanding your child will be able to eat off your plate for free 🙂 You will however have to count him in your guest count for the table even though he will be free (they need an accurate count for fire code). Take a bus to Magic Kingdom and then you can walk to The Contemporary for breakfast at Chef Mickey’s. From The Contemporary, you can hop on the monorail which will take you to the Ticket and Transportation Center where you can switch to the Epcot monorail. Hi! Thank you so much for this post! Your website is AWESOME! I was lucky enough to snag an 8:15 at CRT but the park opens at 8:00. Any chance they will let us in just a few minutes early?? I’m not sure if you’ve gone yet, but we had 8:15 for CRT and whew were not allowed in early. I asked and was told that only 8 or 8:10 gets that. At that time it would be up to the CM at the gate. If you arrive super early they may let you in, but don’t be disappointed if they don’t. We are taking our first wdw vacation in 2 weeks. We have a couple early morning character breakfasts will the disney transportation be running? Raelene, When you check in at your resort, inform the front desk of your pre-park opening ADR’s. They will help you with this. Most likely, they will make sure that the bus dedicated for early morning character dining will stop by in time to pick you up & let you know what time you should arrive at the bus stop. My family and I are going to WDW in May. We purchased the quick servive meal plan. I have made reservations at Star Wars Sci-Fi Galactic Breakfast, Breakfast with the princesses in Epcot, and Breakfast at Cape May. Would it be better for us to upgrade to the dinning plan with table service? We have an 8:05 a.m. reservation at Cinderella’s Royal Table. On that date the park opens at 8:00 a.m. Do you know what time they will allow us entry? Also, if they allow us early entry for our reservation where should we present ourselves? Yes, get to the park early and the line for breakfast reservations will be to the far left. There are Cast Members present, so ask, they’ll get you to where you need to be. If you are looking for a character meal Tusker House has Donald, Daisy, Mickey, Minnie and Goofy. It’s a lot of fun for young kids and the characters a very engaging. It is a buffet restaurant with many options to choose from. Reservations are necessary! I am at Animal Kingdom Lodge right now and the front desk insists that buses only start an hour before park opens. The representive said she was positive and acted like I was dumb when I told her there were earlier buses for dining reservations last year when I was here. I am going to be very irritated if I pay for a cab when there’s a bus. Ask somebody else. Pretty sure she’s incorrect on that. we were nervous about our dinner reservation at Akershus with the princesses since many reviews said the dinner wasn’t kid friendly. No need!!! We have picky eaters & they all loved it! One word – DISNEY! Seriously, we had 6 children from 3-11 years old. They all ate great! Do need a ticket into the park to do a character meal. We are staying offsite for a week and going into Magic Kingdom maybe for 2 days. I am wondering if we can do Chef Mickey’s on one of the days we DONT go into the park. You do not need any park passes for dining at resorts, only need passes if diNing inside parks. Hi there, I am planning a trip where I will be staying at the Polynesian resort and have an 8:15 reservation at Hollywood and Vine. I was researching if it is going to be possible to get from our hotel to Hollywood studios in time. I called the dining reservations hotline and the only info they could give me was that bus us would start running an hour before park opening, in which case I don’t think we would make it. I see on here you said buses start earlier then that?! Can I count on that for sure? Also I was able to get an 8:20 pm reservation at be our guest. Do you think with three small children I should skip this since you say lunch is a better experience? We do have lunch reservations there as well. Not sure if its worth my kids eating so late so I can experience eating there?! Hi! I’m staying on site in my next trip, at All Star Movies, and we have a car. We have a breakfast reservation for Chef Mickey’s at 7:15, so I was wondering if I could get to the TTC, leave the car there and take the monorail to the Contemporary Resort at 7. Is that ok? Could we walk from there to MK or do we have to take the monorail again? Also, that night we have a dinner reservation for Trail’s end at 9:45, so we were planning to leave MK in a boat to Fort Wilderness at around 8. Can we go back no a boat to TTC? Or do we have to take buses? And sorry to be annoying, but another question: We also have a reservation for 7:45 at Cap May Cafe. We were planning to go to Epcot later. Can we leave the car there free of charge and enter through The International Gateway? We are staying on site, but not in that particular hotel, so I don’t know if we are allowed. 1. Yes you can take ttc monorail to contemporary. The monorail starts running at 7am. 2. It is a short walk from the contemporary to the magic kingdom. If you ride the monorail, it will stop at the ttc, Polynesian, and grand Floridian before stopping at MK. 3. Last time I was a disney, you could take a boat to fort wilderness from MK. There is not a boat from FW directly to Ttc. You could take a boat to contemporary then take the monorail to ttc. 4. You can leave the car parked at yacht and beach all day since you are staying on property and have a reservation for breakfast. Question for you for your MK day…are you traveling with small children? Are you planning to take any breaks? A 715 breakfast reservation and a 945 dinner reservation makes for a long day if a mid day break is not thrown in there. Hi WWGirl! I’ve found an earlier dining reservation for Trail’s End at 8, because as you said, it’s going to be a really long day. And we are definitively taking a break to take a nap! If not, even I’ll get cranky!! Thank you so much for your answer! I’m considering driving and parking in The Contemporary for Chef’s Mickey and then leaving the car there the whole day. I think that even if they don’t let us do it for free, paying would be the easier option. We are going to our first WDW trip with our two boys. 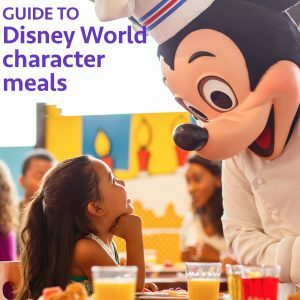 Any recommendations on character meals? We are staying off-site. A lot of the meals feel very ‘princess’ focused. Any with Jake or Pirates? Thanks for your suggestion and thanks for this website. You’ve been a lifesaver for this avid planner trying to make it as low stress as possible for us to go to Disney (my husband is NOT looking forward to this vacation). Jake is at Hollywood & Vine for Breakfast and lunch along with Doc, Princess Sophia, and Handy Manny. We haven’t eaten here yet but do have reservations when we go in 8 days so I can’t tell you how it is yet. Chef Mickey’s was AMAZING when we went and has all the Mickey characters except Daisy. Not girly at all. The Tusker House at the Animal Kingdom might also be a good choice though we haven’t eaten there yet. Also if they like Pooh and friends I hear the Crystal Palace is excellent! We are eating here for the first time on our next trip (in 8 days) as well. Thanks Haley! My youngest would love to have breakfast with Jake! Can’t wait to hear how you liked it. I have reservations for 8:10 on a day the Magic Kingdom opens at 9. If I am staying off site and am taking a taxi, will a taxi take us right up to the park and we skip the ferry/monorail/bus? Or, do we have to take the taxi to the TTC and get to the park by Disney transport? And if we do have to do this, what is the fastest means of transportation to the Magic Kingdom? Hello! this is our first trip to Disney, yay! it seemed that all character dinings had “waits with reservations” what is the earliest time we should go to the restaurant with a 8:30 reservation. Do they have a time limit for example 8:20, 8:15?? We ate at Hollywood & Vine and few weeks ago and it was great! Our 2 year old LOVED all the characters and entertainment! Even with our reservation we still waited 20 minutes past that to get in even though they had empty tables. That is so weird! We were there, too, a few weeks ago and were actually able to get our table about half an hour BEFORE our scheduled time! Shannon, thanks for a great post! How positive are you about the early morning buses to Magic Kingdom? My kids have a Student Seminar class that starts at 7:15 am at Magic Kingdom in September and we are not sure how they will get from Art of Animation to Magic Kingdom that early in the morning. Your post has given us a ray of hope!!! Let me know. Thanks so much! My favorite is cape may! I went there with my family and two nieces and not only did the kids absolutely love it but in my opinion it was the best breakfast buffet I have ever been to in my life! Great post! We were under the impression that recently you could add the dining plan to a Room Only reservation, but I don’t know that it’s possible. We’ve decided to go OOP for our end-of-year trip. Chef Mickey’s is always a staple for us, but we are leaning towards dinner packages like Fantasmic and the Tomorrowland Dessert Party. Do you know how many Character Meals you add before it starts to become better to have the Dining Plan? Curious about what others think in regards to Chef Mickey vs. the Aloha dinner show at the Polynesian. We had CM reservations and cancelled to do the dinner show. Now I’m second guessing this choice!! My kiddos are 5 & 6 and we are doing several other character meals, and thought the luau would be different! Hi! 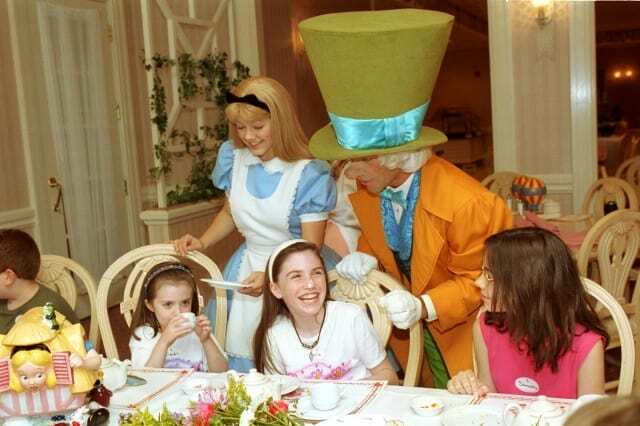 Question about the Wonderland Tea Party….wanting to book this for my 10 yr old, however she turns 11 a few weeks before our trip. Will this be an issue? I’m getting conflicting answers online about age limit. We ate at Chef Mickey’s and the Disney Jr. at Hollywood Studios, the food was better at Disney Jr. But didn’t even come close to the service and atmosphere at Chef Mickey’s. I would do the Mickey one again in a second the Disney Jr. Took a lot of patience on our part. We ate at 6 of the character meals you mentioned on our trip last year. I have to agree that the food at 1900 Park Fare was not that great. The Stepmother/sisters were the only part we liked. We loved Chef Mickey’s for breakfast. We plan to go there again. We might try dinner there as well. CRT was just so magical. Everyone needs to do that at least once. Pooh (and his friends) have been my favorite since childhood and I loved seeing them. As you mentioned the CM’s at The Crystal Palace were fantastic. Throughout our trip, the only character I wanted a picture with was Winnie the Pooh. When my hubby took the picture it came out blurry and I was quite upset. Probably a little too much, for a grown woman (it was our last day of a 9 day trip, I was tired!). So he talked to the CM’s and they got Pooh to come back to our table so I could get another picture with him. I know it was a lot for all of them to do that, and I truly appreciated them and the magic of Disney! 1) do you think the quality of food is better at Winnie the Pooh’s? 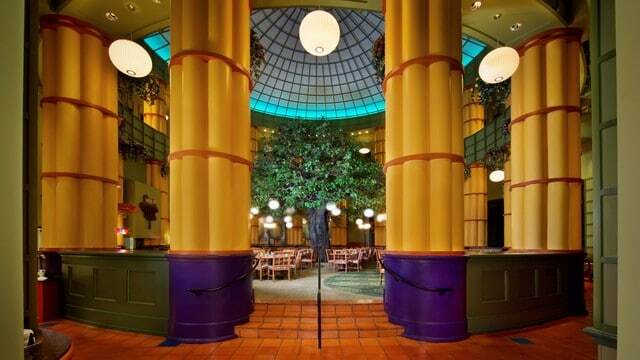 2) when and how probable would it be to get into the main dining room for Chef Mickeys’? I like Chef Mickey’s for families a lot. 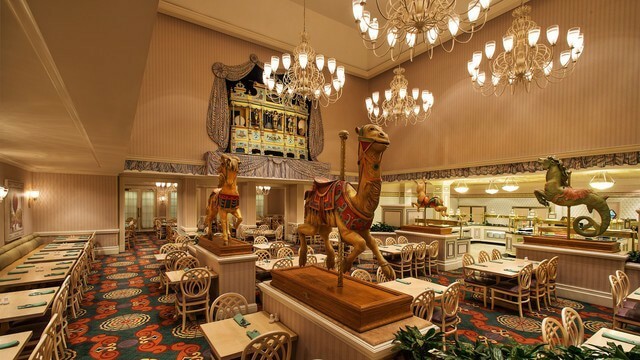 Your chances of getting the main dining room are pretty good – you just have to request it. We loved Chef Mickey’s for breakfast. We were not in the main area to eat. We were on an upper level by a large window. We liked that a lot. Eve you were asking about Character dining at Crystal Palace for your son or sons yes Crystal Palace has the best Menu Breakfast Wise! You would probably do good on getting into the main dining room at Chef Mickey its the best place too see the characters at! OK – I’m sure it’s there and I just can’t find it… but…. how do we get from our resort (WL) to other resorts for meals (GF for breakfast)? Do we take a bus to downtown Disney and catch another bus to the destination resort? BTW – your site is amazing and your help has been invaluable. So grateful to have found you. Thanks so much for all your hard work! No, definitely don’t go to Downtown Disney. Wilderness Lodge is considered a Magic Kingdom-area resort and so is the Grand Floridian. You could take the early boat to The Contemporary and then take the resort monorail from there to The Grand Floridian. The buses are often shared with The Grand Floridian so you might even be able to hop on a bus that’s headed to a park or Downtown Disney and ask the driver if they’re going to The Grand Floridian after Wilderness Lodge. We have a 8:15am reservation for Chef Mickey’s and are staying at Pop Century. How do you suggest we get there? Take the bus to Magic Kingdom and then walk or take the monorail to The Contemporary. Are the buses and monorail running that early in the morning? What time would you suggest we go to the pop century bus line? I’m having a hard time figuring out how much time to allow for waiting for bus, bus ride, and getting to reservation on time.. This is our first time traveling with kids. Are there Characters at the Hoop Dee Review? Hoop-Dee-Doo Revue is a dinner show but there aren’t characters there. Thanks for the post Shannon! I’ve been waiting on this one. For my trip in August I have most of the main character dining meals booked. I am so glad you did this post. I am an avid (aka neurotic) planner, and the times that transportation starts running was exactly the information I was looking for. Your posts are awesome! Do you know what time the parks will start letting you in if you have an early breakfast reservation? I’m hoping to get in and get some good photos before most of the crowds get there. Usually about 15 minutes beforehand. Is there no luau at the Polynesian resort anymore with characters? The luau does still exist but there aren’t any characters in that show. We have an 8 am Akerhaus reservation and are staying in the Contemporary. Since this is a monorail resort will it have a early bus option? You should be able to take the resort monorail to the TTC and then catch the Epcot monorail (which usually begins running at 7:30 a.m.) to Epcot. I just updated the post to include the start time of the Epcot monorail. This is such a great post. I was going to wait for Sunday night Q & A, but this question is topical. We have a 735 am breakfast reservation for Chef Mickey’s on the day we will be visiting Epcot. We also have a dinner reservation there. I was hoping to change the breakfast reservation to Akershus for that morning. Will it be too difficult to get from the Contemporary to Epcot on time for an 805 am reservation. What time would we have to leave the contemporary? Is the International Gateway entrance open that early? I’m a bit confused by your question. Are you staying at The Contemporary and hoping to change your breakfast reservation to Akershus at Epcot? Why would you need to use the International Gateway? We are staying at the Contemporary. I thought the Akershus was in the World Pavillion (please bear with my as its our first trip). I would love to switch our ADR to Akershus, but I don’t know if it will be too much oaf a hike at 730 am. Looking for the entrance with the least amount of walking as we will have my in laws. The International Gateway is the Epcot entrance that is used by people staying in Epcot-area resorts (Beach Club, Yacht Club, Swan/Dolphin and Boardwalk Inn) which seems like it would be an easier entrance for going to Akershus but you’ll end up walking about the same amount either way. If you do switch your breakfast to Akershus, you’ll take the monorail from The Contemporary to the Ticket and Transportation Center and then catch the monorail there over to Epcot. The earliest reservation at Akershus is at 8 a.m. Those early reservations at Akershus are usually booked 180 days in advance so you may not be able to make the switch. Great idea for a post!! I was happy to learn that Mickey makes an appearance at the Garden Grill. I didn’t know that. We will have to try that next time. And loved that they are Mickey shaped! I see that you used a Rapunzel pic for CRT… will they be moving her there soon? Ahhh, good catch. I used one of Disney’s Cinderella’s Royal Table media photos and didn’t realize it was for a princess that doesn’t actually appear there. I switched it out to be a pic of a princess that actually is at the meal. Thanks for the comment about the Backyard BBQ and the transportation with Ft. Wilderness. We are staying offsite and have reservations for the early show. 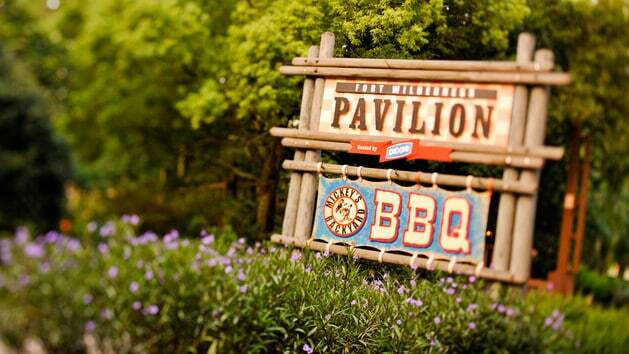 What recommendations do you have for parking and how long it might take from parking to arrival at the MBYBBQ? You’ll need to park at the main building at Ft. Wilderness and take an internal bus over there. I would probably plan to arrive there about an hour before your reservation. We have an 8:05 am reservation for Cinderella’s Royal Table. If I’m understanding your transportation comments correctly, we will need to take the buses to arrive at the park by 7:30. Is that right? We are staying off-site, so what is the best way to accomplish that? People staying off-site and going to Magic Kingdom have to park and then go to the Ticket and Transportation Center. From there, you can take the ferry or monorail over to Magic Kingdom. For an 8:05 am reservation, I would plan to arrive to Disney World by 7, be at the TTC by 7:20-7:30 and then check in at Magic Kingdom a bit before 8. Thanks. So there’s no feasible way to get to Magic Kingdom any earlier than 8? We were hoping to spend a little time on a basically empty Main Street and take some photos. You can often valet for the whole day. We recently stayed at the Beach Club Villas and didn’t depart on our last day until 6:30 pm. While we had to be out of our room by 11 am, there were no issues leaving our car at the resort with our luggage checked with the bell hops for the day. We went to the parks for the day and returned for our car that evening.